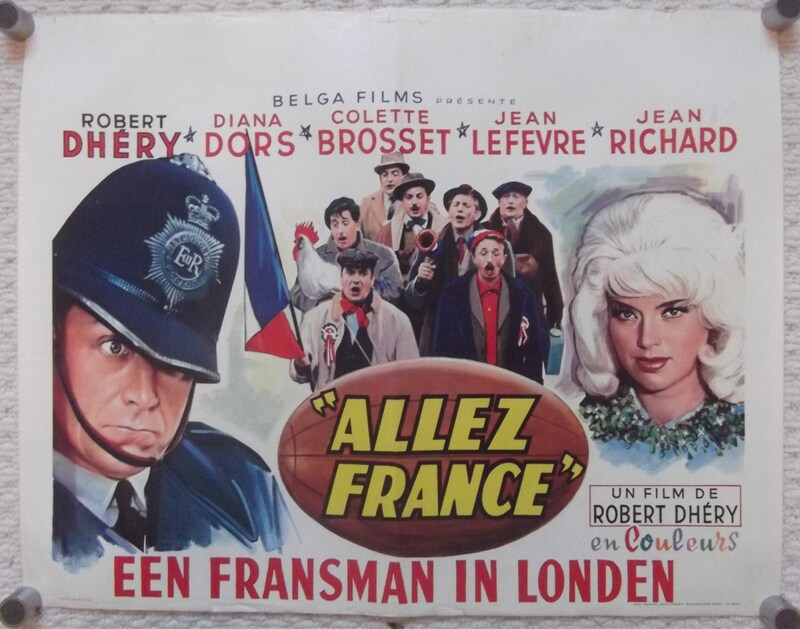 Original 1964 Belgian movie poster from the film ' Allez France ' aka Counterfeit Constable starring Diana Dors. This poster is in VG-Fine condition and measures 14" x 21". It has general light handling wear. Lovely looking poster with great color. 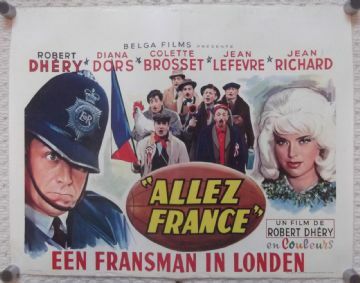 The poster will be shipped rolled in a sturdy tube. It was once folded but has been led flat for a long time.